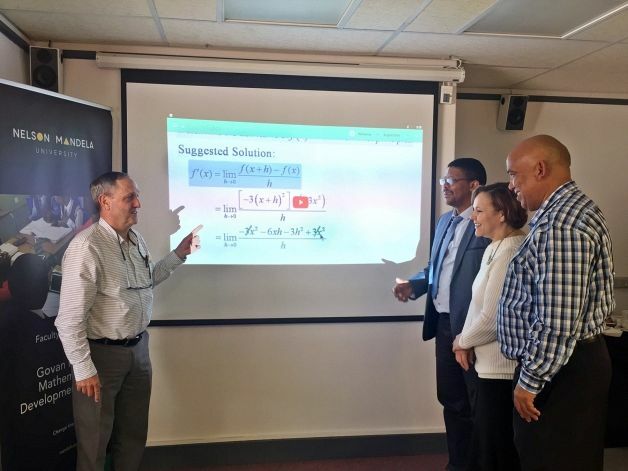 TechInAfrica – Through a partnership between Isuzu Motors South Africa and Govan Mbeki Mathematics Development Centre (GMMDC) of Nelson Mandela University, three schools of Port Elizabeth will experience new teaching tools. These new teaching tools will be provided through a mobile device called Gamma Tutor as well as TouchTutor® software where it is aligned with the curriculum. Both tools are accessible offline. The three schools of Port Elizabeth which are determined to experience the teaching tools are Paterson High School in Schauderville, Newell High School in New Brighton, and Cilie High School in Sidwell. The decision of selecting these schools for piloting the teaching tools is based on their previous participation on the GMMDC Math and Science programs. Therefore, the implementation of these schools is hoped to result in a seamless integration of the technology. The GMMDC Director, Professor Werner Oliver talked about the program, “The program will be used by the teachers to deliver and support the Curriculum Assessment Policy Statement (CAPS) for Maths Grades 8-12 and Physical Sciences Grades 10-12. TouchTutor® also serves as a Maths and Science after-hours support platform, and a secondary free application on mobile devices will also be made available to the learners of the pilot schools,” he said. Along with the program, every school will get 10 Gamma Tutor devices equipped with a wireless mouse, two data projectors, Math materials, PowerPoint lessons, and learner guides. They are all in one package of the TouchTutor®. Professor Oliver moreover commented on TouchTutor® software where it has been developed under his leadership ever since 2010. “The GMMDC developed the TouchTutor® application and related support models for teachers and learners over many years, first on DVDs and then in-house to Android platforms. The technology is unique in a number of ways, but brings offline, structured and interactive learning through the techno-blended model,” said Professor Olivier. To support the program, Isuzu Motors South Africa has given a donation of 20 computers and 50 monitors to GMMDC’s Math and Science project. The project is purposed to develop and improve the teaching quality, especially in Math and Physical Science in secondary schools and colleges using technology.